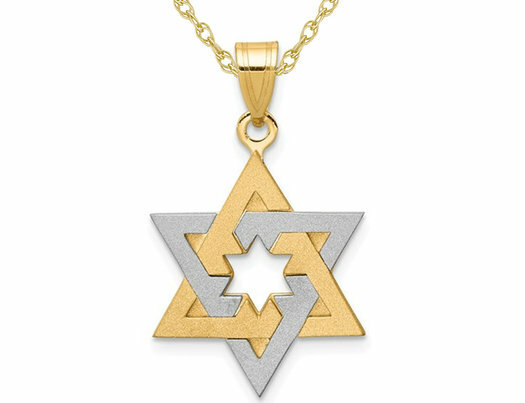 Wear your faith with style with this chic Star Of David pendant. Made with glistening 14 karat yellow gold and crisp 14 karat white gold , this item also includes a delectable 18 inch yellow gold chain. The pendant is approximately 1 inch in length and by 2/3 inch in width.